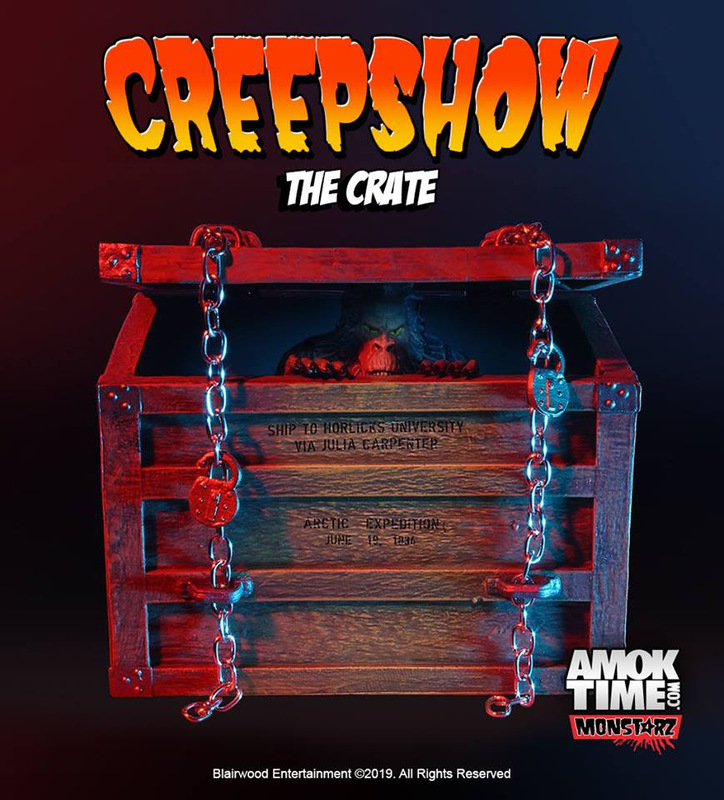 Amok Time has released new photos of their latest Monstarz Creepshow release, “The Crate“. Pictures show the approved factory production sample. The crate monster “Fluffy” with 6 points of articulation: shoulders, elbows and wrists. The figure is scheduled to arrive this May.